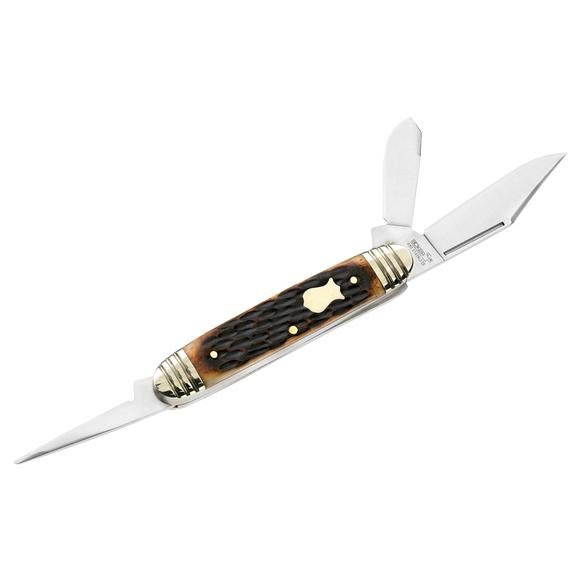 High quality materials, well known precision and a sharp look make Boker's Cattleman Folding Blade Knife a true classic that is designed for years of use and the special memories that come with them. High quality materials, well known precision and a sharp look make Boker&apos;s Cattleman Folding Blade Knife a true classic that is designed for years of use and the special memories that come with them. This blade was used by farmers adn designed for cattle castration. The specially curved tip design allow it to cut easily and not punture the animal. Today it&apos;s a common all purpose utlity blade.